Capture your audience with a professionally designed website that breathes new life into your business. Located in the heart of Makati Central Business District in Manila, Philippines, 7th Media is a premier web design company with extensive experience in crafting highly customized and unique web designs that suits your industry – be it manufacturing, utility, banking, retail, food, lifestyle, education, travel, entertainment, consumer goods, government, non-profit organization or e-commerce. Our creative flair in designs and strong attention to detail have led us to work with top corporates, multinational brands and leading advertising agencies across the world. Let our multimedia artists take care of your web design requirements, so you can focus on what’s important to you – your business. Get a beautiful website beyond aesthetics when you work with 7th Media. While it’s true that we pay close attention to typography, illustrations and how everything blends well together, we also ensure that your web design is in line with your branding and business goals. 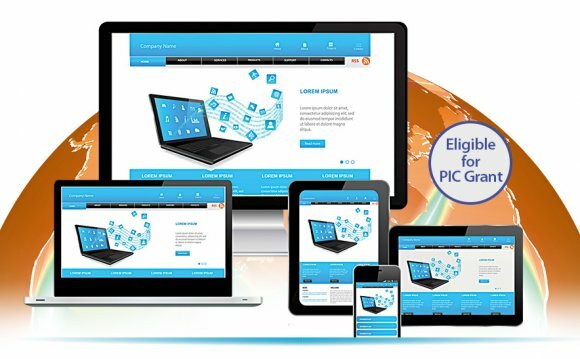 Our user interface designers deliver web designs that are clear and can easily be navigated by your audience to ensure a great user experience. Receive a high-impact web design that connects well with your audience. We take time to know your business strategy and your target audience to tailor fit the the web design in tune to your brand and readers. Get a website that is clean and uncluttered. We carefully study your website’s sitemap and implement intuitive navigation points so your audience will get the information they need within a few clicks. Improve your sales with strategic placement of call to action buttons in your web design. Our multimedia artists work alongside with qualified marketers to ensure that “call to action” buttons are included in the right places of your website. Reach your audience across different devices. We create modern web designs that can easily be converted to responsive websites and look good in laptops, desktops, tablets, or mobiles.